Neuroscience is a naturally interdisciplinary course of study investigating the biological underpinnings of behavior and the treatment of psychological and neurological disorders caused by disruption of normal brain activity. The neuroscience minor will join individuals in several departments in the College of Liberal Arts and the School of Applied Sciences. 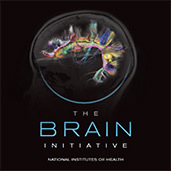 In addition, our minor will enlist the assistance of professors from across campus to support neuroscience related independent projects in their labs including studies that range from brain computer interface to cellular processes involved in neural regeneration. Our current students grew up in the Decade of the Brain, a decade of intense focus on Brain Science from 1990 to 2000 that was encouraged by the Presidential Proclamation of George H. W. Bush and has been continued by President Barrack Obama with his Brain Initiative in 2013. Spurred by such endorsements, the scope and demand for neuroscience education has continued to grow. The labs of neuroscience professors in the high enrollment majors, psychology and biology, are inundated with students interested in gaining knowledge and practical skills in neuroscience. The goal of the minor is to expand the resources available to such students, to guide students in their quest to obtain neuroscience knowledge, and to spread the awareness and opportunities of neuroscience education to students who may not have come to the discipline on their own. Many of our students already lean towards neuroscience related courses in their quest to understand the function of the brain and behavior and are completing mixed biology/psychology major-minor courses of study. The minor would guide them to neuroscience courses and encourage psychology and applied sciences students to take more natural science neuroscience, and biology majors to take more courses grounded in behavior. There are currently approximately 30 students that are neuroscience minor students. A requirement of the minor to take at least one 500-level course should expand student enrollment in the very necessary upper level courses, and the lab requirement will offer the practical skills necessary for application to neuroscience-related PhD programs and to gain jobs in allied health fields. Go to the “Faculty” page to see all of the faculty associated with this minor. They will be available to sponsor students in their labs as one way to fulfill the lab requirement in the minor. Thus, there should be ample and diverse opportunities for students to complete formal or informal lab training.